No matter how one feels about the results of the Israeli elections, one thing is clear: U.S.-Israeli relations are veering towards a head-on collision over the issues of Iran's nuclear program and the Palestinian-Israeli peace process. 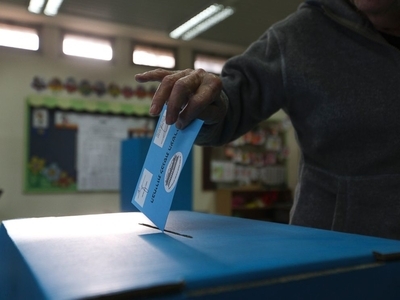 They were likely a major factor behind Israel's high voter turn out that stood at 71.8 percent -- the highest participation rate since 1999 when Labor's Ehud Barak defeated Benjamin (Bibi) Netanyahu after his first term as prime minister. A deeper look at the results reveal some important lessons from this election as well. The polls were wrong. Conventional wisdom in the Israeli elections held that Isaac Herzog's Zionist Union (ZU) would defeat the incumbent Prime Minister Benjamin Netanyahu and his Likud party. According to the final pre-election polls published four days before, Herzog had a four-seat lead, giving him 25 seats to Netanyahu's 21 in the 120-seat Knesset where a majority of 61 seats is needed to govern. But the first exit polls had Likud and ZU neck-and-neck at 27 seats each. That changed hours later with the final tally. Netanyahu was no longer in a tie but decisively ahead of Herzog with 30 to 24 seats respectively. Jonathan Schanzer of the Foundation for the Defense of Democracies noted, "observers outside of Israel aren't the only ones who often can't predict what the political system there will do. Israeli experts often get their predictions badly wrong too." And so they did. The final pre-election polls were off by a whopping 9-seat margin for Netanyahu, but they more or less had Herzog's numbers correct. In contrast, the first exit polls didn't give Bibi enough seats while giving Herzog too many. None predicted the incumbent's decisive victory. Security always features prominently in Israeli elections. The question is, how much does it factor in to voters' choices? Polling before the elections showed Israelis were voting based upon socioeconomic issues rather than security and foreign policy by a 2-1 margin. After all, among the main political parties, there was very little difference in how they viewed Israel's defense with regards to Iran and the Palestinians. But Netanyahu ran on his security credentials and in the closing days, his message became less about why Israelis on the right should vote for him and more about the scary thought of ZU leading the country. He was able to make the case that it wasn't just about policies but about backbone. Accordingly, there would be a lot of outside pressures on Israel -- foremost from the Obama administration -- on an Iranian nuclear deal and the peace process with the Palestinians. Netanyahu portrayed himself as the one who could stand taller in that upcoming storm. It is difficult to know how much of an affect that strategy had in the closing days but it is reasonable to surmise that in the final hours, security trumped economics for the remaining undecided voters. Netanyahu proved more adept at siphoning votes away from his right than Herzog did from his left. Despite the pre-election polling showing a ZU lead, an Israeli TV Channel 1 poll showed 47 percent of the Israeli public favoring Netanyahu as prime minister, compared to 28 percent favoring Herzog. However in Israel, one votes for the party, not the person. So Netanyahu made a political pivot to the right with a message that if Israelis wanted him to lead the country, they must vote for Likud and not cast ballots for smaller parties that campaigned on niche issues. Without their votes, he argued, Herzog would end up as prime minister and he would be free to form his own coalition. For his part, either Isaac Herzog failed to adequately make the same case to the voters of the center-left or they just didn't listen. Ari Shavit, columnist for Israel's Haaretz, explained that the decision of hundreds of thousands of people to divide their votes on the left "split the moderate bloc and gave the government again to Likud" and to the center-right. He asserts that the young, liberal, affluent, even elitist, "white tribe" voters "proved again that in terms of politics, television-kissers are more foolish than mezuzah-kissers." The Israeli electorate has shifted to the right, continuing a 40-year general trend in Israeli politics. It has become more pronounced in the last 15 years. The political left has yet to recover from the events of 2000 under the Labor party's Ehud Barak. In that year, Israel unilaterally withdrew from Southern Lebanon bringing Iran and Hezbollah's rockets even closer; Arafat walked away from the Oslo peace process and launched a destructive Palestinian war of attrition; and Bashar Assad inherited Syria's rule after the death of his father, Hafez, ending any Syrian prospect for peace. Each of these had ruinous affects on the peace camp. Another example is the centrist Kadima party created in 2005 to make a coalition supportive of Israel's disengagement and complete withdrawal from Gaza. Those results are in: Gaza has been transformed into a terrorist mini-state ruled by Hamas. As David Makovsky of the Washington Institute for Near East Policy points out, "if you didn't like the book in Gaza, why would you see the movie in the West Bank?" Kadima won 29 seats in the 2006 elections; by 2013 they garnered only 2. The lesson is Israeli withdrawals have made them more vulnerable, not more secure. The dramatic increase for Likud grants Netanyahu freedom in choosing what parties to bring into a coalition to reach 61 seats. The easiest path is to create a stable one out of parties to his right. But that would also leave him to govern from the left of the coalition and risks putting him in a diplomatic straightjacket. However, if his main concern is standing up to American pressure over Iran and international pressure over the Palestinian issue, such a coalition would serve him well. In that scenario it would be very difficult to concede anything towards Palestinian statehood but then, he made clear that given the Palestinian and regional reality, no such deal is in the offing any time soon. Nevertheless, a coalition to his right would give him stability at the expense of maneuverability. Another option is to bring Zionist Union into the coalition, forming a national unity government. Together, they would only require seven additional seats to reach 61. This would give Netanyahu the ability to govern from the coalition's center and provide more room for cover if he needed to make diplomatic adjustments. Such post-election reconciliation is possible but not without its challenges. Would Netanyahu trade stability for national unity and maneuverability in the middle? Would Herzog and his Labor/Zionist Union party want to join a coalition with their political rival, only to share the blame of the diplomatic crises promised in Washington? If he decides to pursue Herzog, the irony could be that Bibi is a victim of his own success. By winning with such a large margin, he has a clear mandate from Israel's president, Reuven Rivlin, to form a coalition of his choosing. Conventional wisdom before the election was that if he won, it would be so close that Rivlin could demand a national unity government. With Netanyahu's decisive victory and freedom to choose, he will have to explain to the public how there really is little difference on security issues with Zionist Union, after running a campaign focused on drawing out the differences. But it's Israeli politics and stranger things have happened.